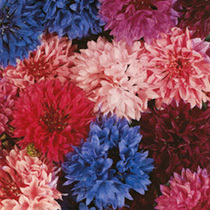 A lovely blend of scarlet, rose, pink, burgundy, purple and blue together with white. One of the easiest annuals to grow and a lovely choice for the back of a border. 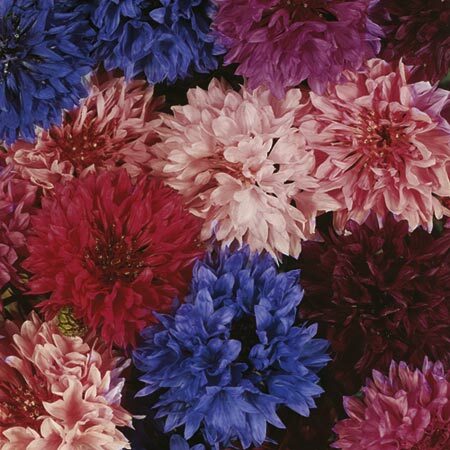 A traditional 'cottage garden' favourite that also makes an ideal cut flower for the house. HA - Hardy annual. Height 90cm (3'). Sow March-May, flowers June-September; or sow September to flower June-August following year. Ideal for beds and borders. Suitable for cut flowers. Drought resistant. Attractive to bees. Prefers full sun or partial shade.